Why wait to build when this home can be yours today! This beautifully maintained 3 bedroom 2 bath Polk City home is ready for a new owner. The inviting foyer leads to the expansive open kitchen, living room, dining which is great for entertainment. The spacious flex room with inviting french doors can be used as an office, guest room, man cave...the possibilities are endless. The kitchen has a plethora of cabinets, tiled backsplash, pantry, Amana appliances, granite counter tops with plenty of storage and an island/breakfast bar with pendant lighting hanging above. The spacious master bedroom features walk in closet. The master bathroom features dual sinks and step down shower. The spacious bedrooms are well appointed with easy access to the 2nd bathroom. Owners upgraded from the model which included blinds, glass front door, range hood vent to the roof, gutters, outside rear lighting, kitchen facet and refrigerator. Want to stay away from the hustle and bustle of city life? 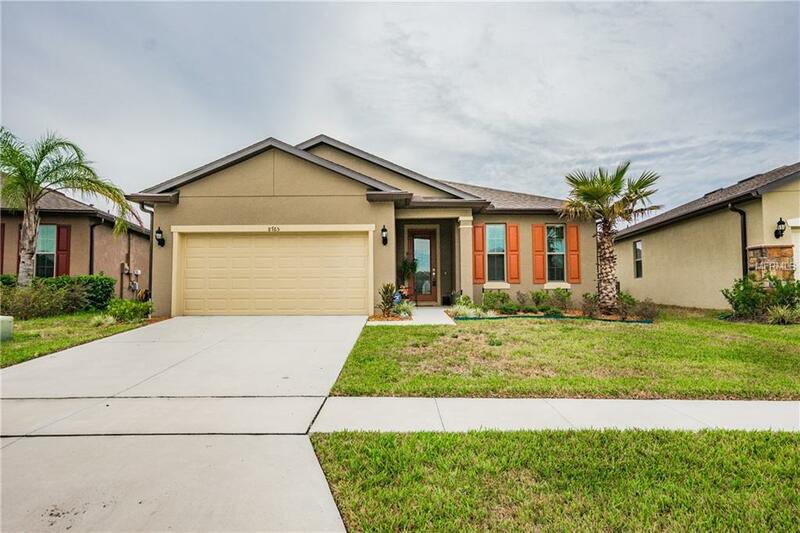 The home is conveniently located to General James Van Fleet trail, Fantasy of Flight, Polytechnic University and I-4. Looking for 100% financing? This home qualifies for USDA 100% financing. Seller requests to provide pre-qual letter or POF prior to scheduling a showing. Buyer or buyers agent to verify all sizes. Check out 3D Virtual Tour and aerial video! Pet Restrictions No Pit-Bulls Must Clean Up After Must Be On Leash.